A severe injury such as brain damage or a spinal cord injury can try the souls of victim and family alike. They face the burdens of coping with a life-changing injury, finding long-term care, paying their bills, and dealing with countless other complications in their lives. At Radloff & Radloff, P.A., we are keenly aware of the challenges facing people who have suffered serious injuries and need treatment and care. We are a personal injury law firm that is dedicated to helping clients in Florida face and overcome these challenges. We also represent the families of wrongful death victims. You've already suffered enough just dealing with the loss of your loved one. Let us handle the legal matters for you. Call us toll-free at 866.451.3211 or send us an e-mail to arrange for a free consultation. We want to help you get the assistance you need to rebuild your life. Radloff & Radloff, P.A. helps victims of serious injuries and their families obtain compensation and justice for their losses and suffering. As we build our case, we pay particular attention to the specific needs of each client and the client's family members. A victim of a spinal cord injury, for example, may need attendant nursing care, or the family may need to make modifications to their home to make it wheelchair accessible to allow them to care for their injured family member. A child who has been the victim of a dog bite attack may need cosmetic surgery to alleviate the psychological effects of scarring. We carefully analyze the full extent of medical and financial losses to include all of the losses in our claim. Often, we will call upon the services of life care planners to understand all of the client's treatment and care needs — now and into the distant future. 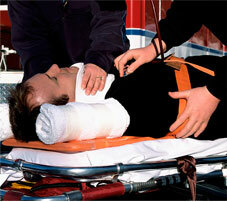 Our attorneys also thoroughly investigate the cause of the accident and the legal issues of liability and negligence. The goal of Radloff & Radloff, P.A. is to build a strong and persuasive case for compensation — and to maximize the compensation our client receives. For a free initial consultation with Radloff & Radloff, P.A., call 904.398.2200 or toll-free at 866.451.3211 or send us an e-mail.